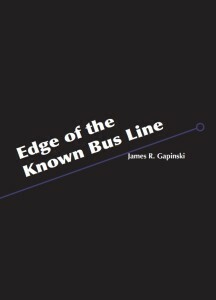 James R. Gapinski, managing editor of The Conium Review, was named a 2019 Montaigne Medal finalist for his novella, Edge of the Known Bus Line (Etchings Press; University of Indianapolis, 2018). The full list of finalists can be found on the Eric Hoffer Award website. Congrats on being named a finalist, James! Join The Conium Review‘s managing editor, James R. Gapinski, as he celebrates the release of Edge of the Known Bus Line (Etchings Press, University of Indianapolis). 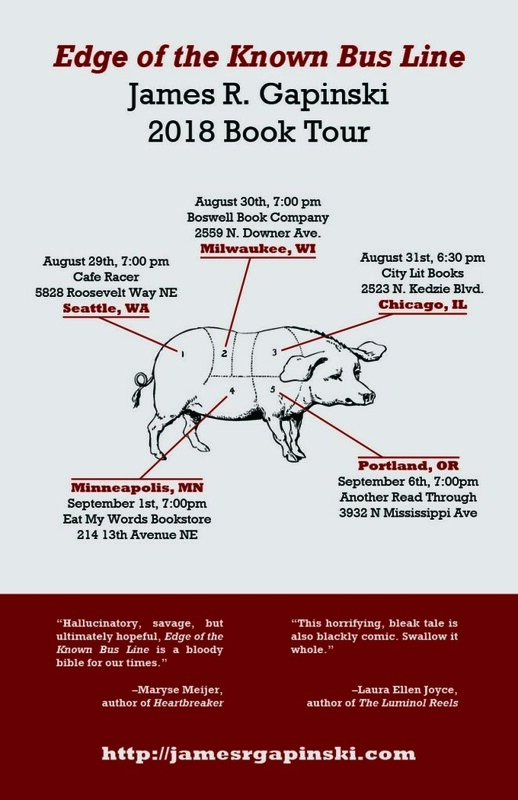 Later this month, James embarks on a five-state reading tour, with stops in Seattle, Milwaukee, Chicago, Minneapolis, and Portland. The tour kicks off on August 29th with a featured reading at the Two Hour Transport series in Seattle. Next stop is Boswell Books in Milwaukee. Then James visits Chicago for a conversation with former contributor and recent contest judge Maryse Meijer, author of Heartbreaker (FSG) and Northwood (Black Balloon Publishing). In Minneapolis, James reads with local and visiting authors Maya Beck, Madeline Reding, Kathryn Savage, and Erin Sharkey. Finally, James returns home for a reading in Portland. Full book tour details, Facebook links, and other information is available on James R. Gapinski’s author page. James R. Gapinski’s chapbook-length collection, Messiah Tortoise, will be published by Red Bird Chapbooks later this year. The collection features 10 flashes and stories, each set in the same ficticious zoo. James is managing editor of The Conium Review and associate faculty at Ashford University. Follow him on Twitter and/or visit his website for more. 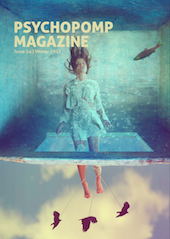 James R. Gapinski has a new flash fiction, “The Devil’s Mark,” published in the Winter 2017 issue of Psychopomp Magazine. You can read it here. James is the managing editor of The Conium Review and associate faculty at Ashford University. His work has also appeared in The Collapsar, NANO Fiction, Word Riot, and other places.